Communication works best when there is interaction, reaction and interaction, and there is an understanding derived from it. Somewhere in the process is the ability to listen. I feel the best way to explain this is by incorporating the Shannon-Weaver model into this discussion and its application as to why husbands should listen to their wiv. The sender is widely regarded as the one who initiates the interaction by transmitting his or her thoughts, opinion, or information in a way that a receiver can understand it. The receiver's role is to interpret the sender's thoughts, opinion, or information. He or she completes the process by providing interaction. It is widely agreed upon that marriage is a two-way relationship. One gives, the other receives; one has needs that the other tries to meet, and likewise. The bond to their relationship is love, consideration, respect, patience, and faithfulness. No marriage can succeed when one party is giving its all while the other is merely a ravenous consumer or taker. Communication is similarly a two-way process, and the parties who participate in it serve dual roles. Once the husband (or wife) has transmitted the initial message, he or she becomes the receiver of the message that's been transmitted by the other spouse. Ideally, this should be done willfully by both, because it is my opinion that effective communication within a marriage produces unity and selflessness. The sender's role is to encode the information, thoughts, opinions, and/or actions that may comprise the intended message of words (either written or spoken) in such a way that the receiver can easily and effectively decode the message in terms that he or she can interpret and best understand. Sufficed to say, if all couples were capable and willing to do this, perhaps a significant portion of relational problems might be solved. 1. The first is the conception of communication as an action-io that you apply to someone else. It's like "hypodermic needle" because in this approach, you think you're the head squirt party content, just like when you make a shot. Here only one who does the action (communicator) is taken into account. The recipient information, the receiver has a passive role, in this conception transmitter receives no feedback from the receiver and not regulate their behavior according to the interlocutor. 2. A second design (lens) through which we perceive communication is that of "billiard ball" is when applied, cause and effect in communication, we think that people's communication behaviors are due to a number of effects and try to explain as "xa done something in response / response to the aa said / did y ... etc"
At this stage become aware of the receiver, so it's a breakthrough because it is only the transmitter, one that makes communication receives feedback, but still not the correct approach, you think what you do / tell somehow makes on celalalat act / say in a certain way. At this stage, you're still on the wrong track. You are too little aware of the choices we make when we communicate. Typically, in this situation, you feel things are predictable and controllable. Hence, there are many times and self fulfilling Prophecies. 3. Aboradrea the right is that of transactional analysis, negotiation waste. this approach and begin to apply it in our lives. Communication is a transactional process that occurs continuously negotiating waste. When two people talk, each operating with three images: my self (my me), Taul mu (my you) and how I think I see you with me (my your me), so, in total, when suntemoi there six waste that we continuously negotiate. When we choose to perceive human characteristics of near us, we recognize and record responses and adjust the message according to this feedback, the dialogue we build together, both participating together and build is what is between us, not me or you. 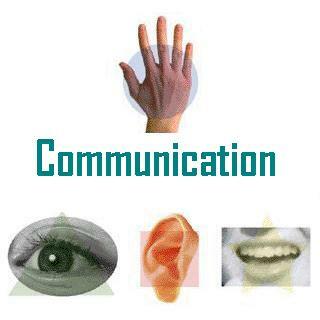 Active listening (beeps means that listening); many people think that listening, but have a look dead and expression. We nexting, that conversation go on. Zambia, we feel, we express what we feel, not talking in general terms, vague impersonal and rational, I use it often and try to show that you sincerely reflect our perceptions, they use vague and general, are impersonal and dehumanizing him and the near you. Paragraph is like a robot, not a human. Occurs when you're addressing the person next to you as like "the filler of the rolls" We fulfill multiple roles in life. We are husband / wife, child, mother / father, employer / employee, buyer, etc.. When you are constantly addressing others as like "the filler of the role" and see only their characteristics pertaining to these roles, use dark sensibility. Go to shops and ask three batteries. I speak as a lady such as a seller. If you tell him, oh that beautiful smile you have, or what you dress nice today, already start to be more human and tedresezi as you become aware of her human characteristics, personal and unique. It is wrong to treat such people? Should not think so. Maybe you are interested in creating a long term relationship with an employee of the supermarket. But if your wife is constantly treated as just mother, wife, housekeeper, etc-dark sensitivity, it can be inhuman pain. Because marriage is a lifetime relationship and repeatedly treated with sensibiltate closed, people close to, is terribly painful. Once again, I repeat, we need to begin to realize the communication choices we can make. When you say the same things and are not aware of the human side of others.